Discover clever ways to use Susan Goldstick drapery finials and drapery tiebacks. Our finials and tiebacks come with inserted screws for attachment to wooden rods and walls. Create dramatic looks with our matching rods and brackets. 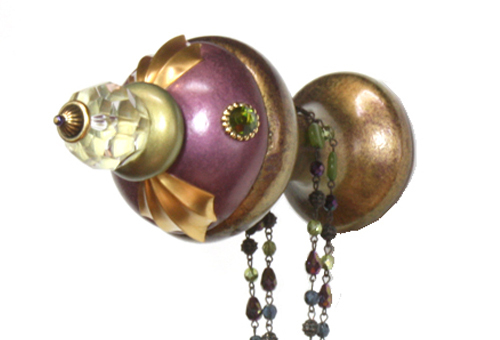 Screw the finials directly into the wall and use a tab or ribbon treatment to attach the drape. Or - think beyond window accessories. Our finials and tiebacks make fabulous wall hooks!